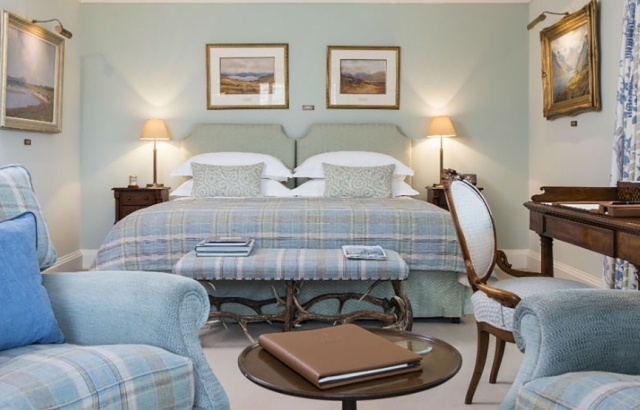 With the Hotel’s motto, “Select, Elegant, Intimate” the guest will experience a luxury yet homely Boutique hotel ambience – a place to relax, wine and dine after a day out on the Royal Dornoch golf course or touring around Sutherland coastline. This former Victorian Mansion, dating from 1843, has been beautifully re-imagined for the 21st century traveller. 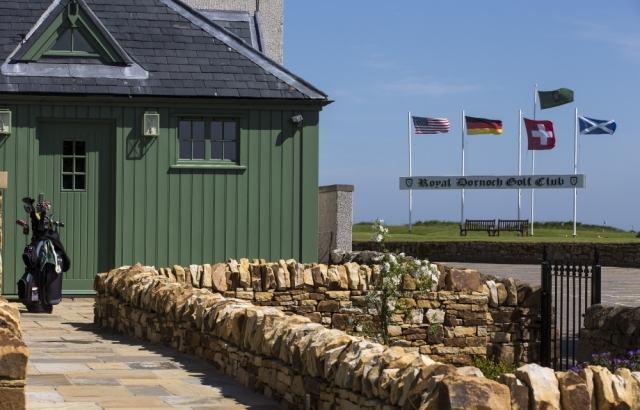 The owners, Todd and Liz Warnock who are based part of the year in Chicago, treat Dornoch as their second home and the creation of Links House has been a labour of love. 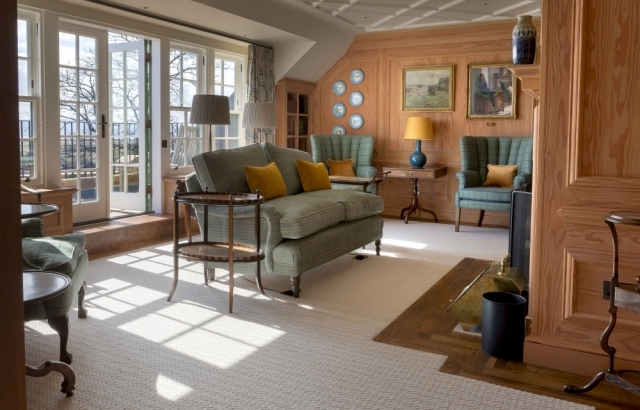 Working with the architect James Maxwell and interior designer, Helen Lyon, they have pursued a contemporary “Arts and Crafts” decorative ambience. 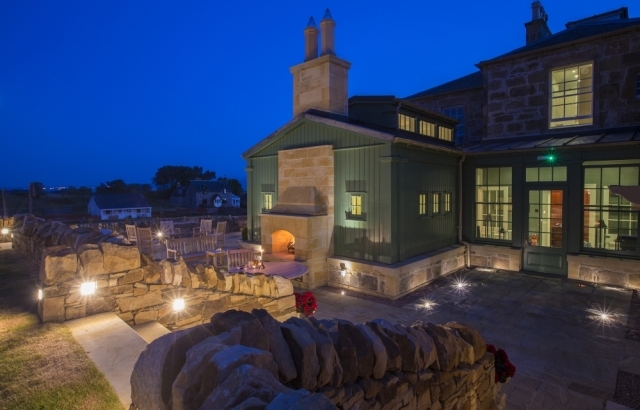 From the exterior sandstone stone walls, step inside to a world of antiques, bespoke tweed and oak wood, featuring colours, fabrics and textures which echo the surrounding wild natural landscape of the golf course, rivers, beach and grassy seashore. 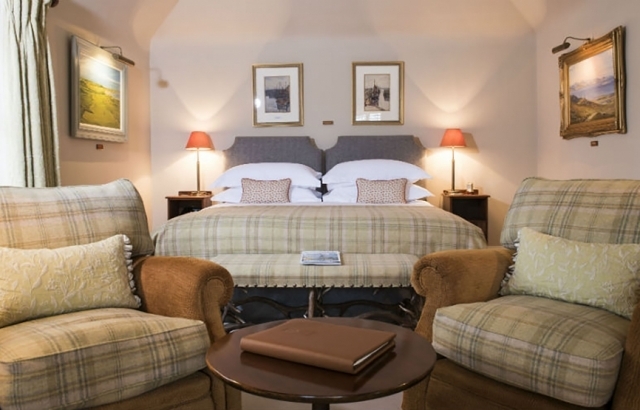 Accommodation too follows the same sense of relaxing tone and mood around a choice of fourteen sumptuously furnished bedrooms in the original Manse, Glenshiel House and the Mews. 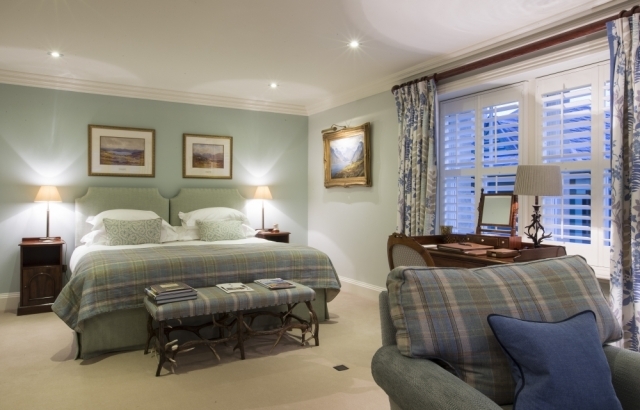 Each spacious bedroom is named after a local river, featuring a colour scheme in soft shades of sea blue, soft heather and sage greens; period furniture and oil paintings blend with contemporary crafted wardrobes, gorgeous armchairs and plush curtains; luxury marble bathrooms, Penhaligon toiletries, bathrobes, slippers. 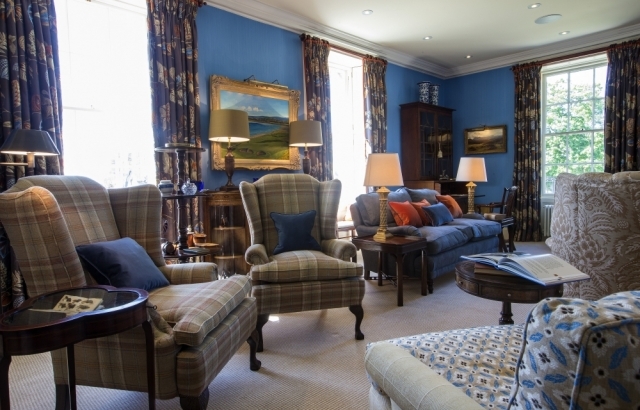 Glenshiel house has a drawing room, chef’s kitchen, four large suites and the Penthouse Apartment, available individually or often reserved for a group of friends or a family on an exclusive use basis for a private house party. Perfect for sporting events, wedding celebrations and over the festive season. 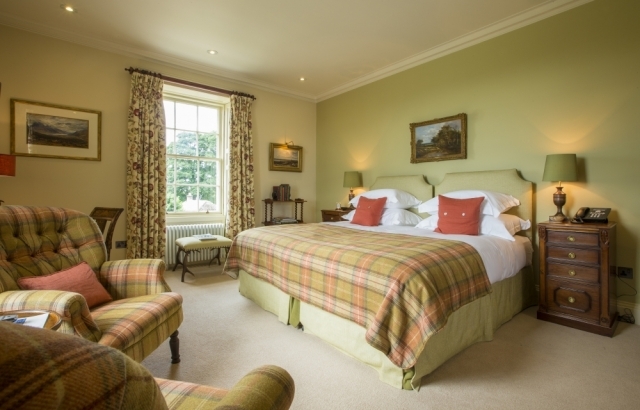 Guests are welcome to Links House as a home from home, with its cosy library, loyalty whisky bar and log fire. Other drinks, wines, gin and cocktails are served from a hidden bar! Everywhere, a gallery of paintings, curios, sporting ephemera, magazines and books on Scottish history, golf and fishing. 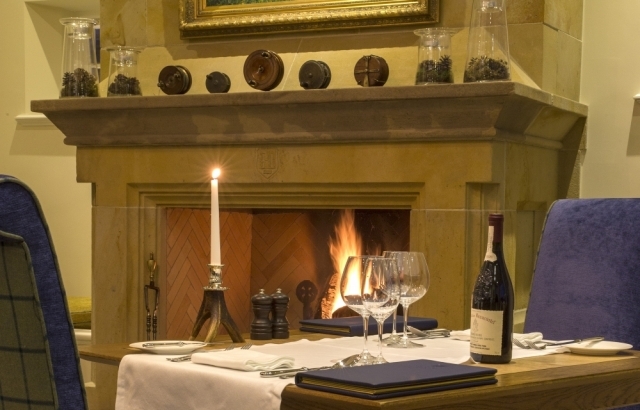 The elegant, sunlit Restaurant offers casual comfort with a modern fine dining Scottish cuisine, emphasising local seafood, game, fruit and vegetables, while sitting at white linen draped tables on lovely blue plaid chairs. 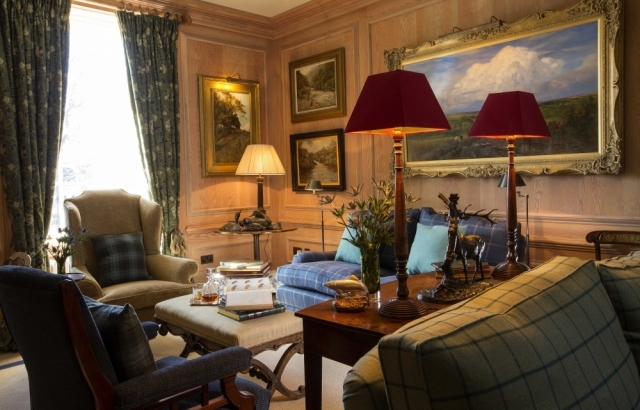 Golf and fishing is the central design theme, from the front door handles (golf club “feet”), to commissioned paintings of the Royal Dornoch Golf course around the house. 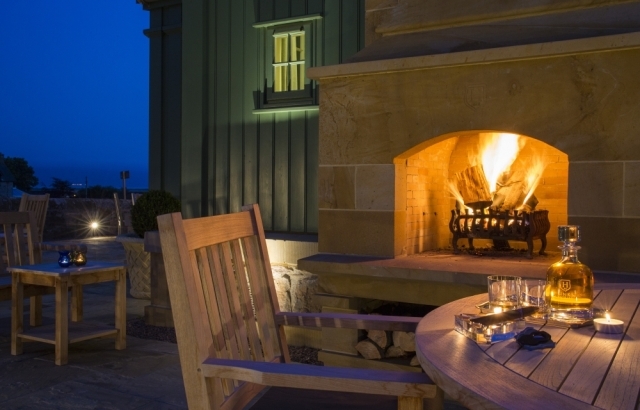 The gardens have been meticulous designed too, with a patio area, chairs and open stove – the place to sit with a dram and cigar after dinner, or al fresco drinks on a summer day. 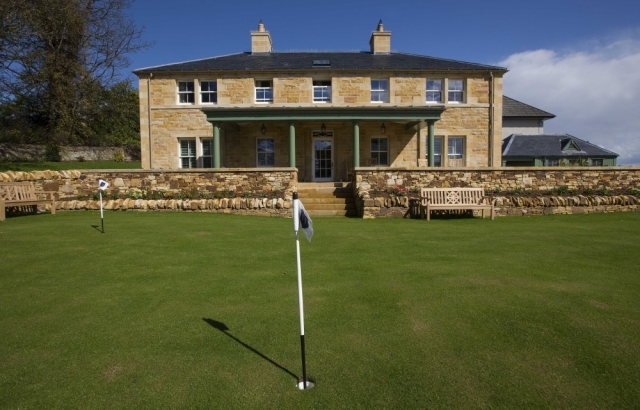 The Putting Green was created by Royal Dornoch golf course – very popular for a few practice shots by the Golfing guests. 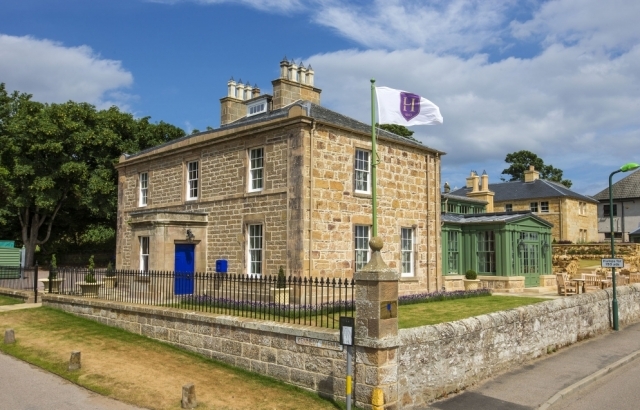 Links House has been astutely developed to reflect the owners’ proud passion for Scotland, its history and beautiful rural landscape. The property of three separate houses have been created with inspirational vision with sense of quiet appreciation of refined quality which resonates around this graceful Highland home.